Oh, and can I tell you all of these eos chapsticks smell delicious! So much so my scottie almost took a bite of out them! I used a variety of distress inks and rubbed them gently over a Heidi Swapp stencil. I sprayed the cardstock with some shimmer spray, used glitter cardstock for the sentiments, and then some final touches of sequins. My little scottie decided the help keep watch over the cards as they were drying. Hope you are having a wonderful Easter weekend! Like whoa!!! That’s a lot now that I think about it. lol! 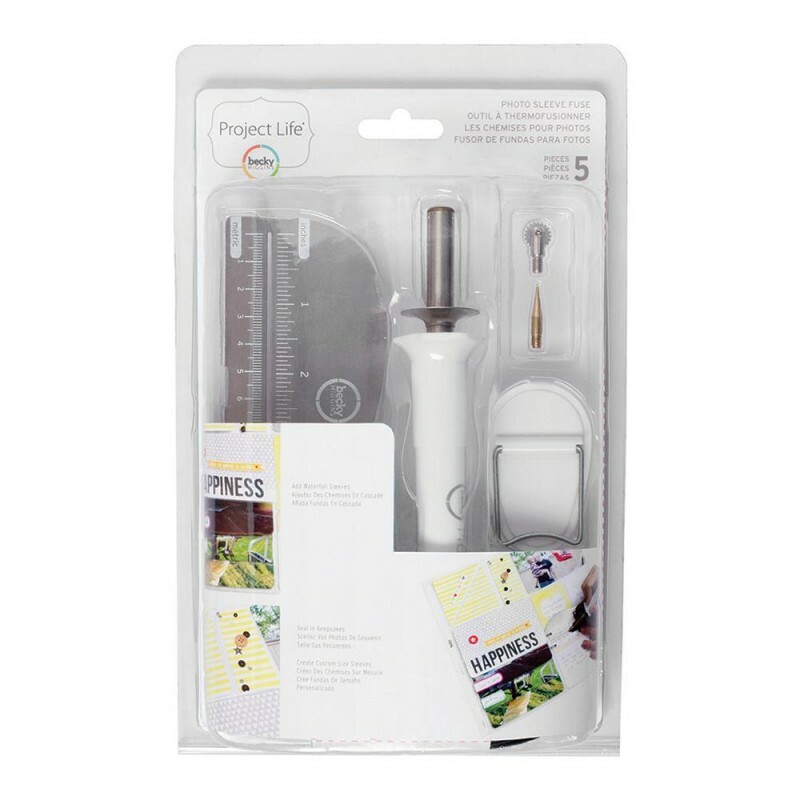 I hope these bring a little joy and happiness…handmade happiness! Wishing you and your loved ones a wonderful holiday season! Lovely snowflakes, reindeers and distress inks! What’s not to love? I like the color combo because it’s so vibrant and festive! Are you ready to dance your way into the holidays!? hahah I know it’s still a bit too cutesy but I did try to use black! I love using Christmas tags to add dimension to the cards. Love happy and dancing reindeers! I love how these have little snow flakes and sequins shaking around! Perfect to send a warm holiday hug and help to decorate a tree! 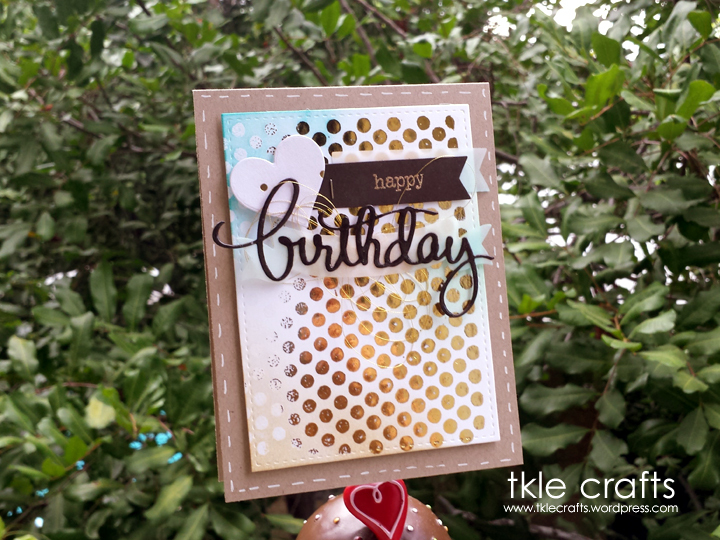 My bff sent me this wonderful bokeh paper from Lawn Fawn and gosh we both just love it! No such thing as too much red or reindeers right!? To give it some personal touches I added a great pen, stamps, and a few little snowflakes. I love these cards because it has a lot of dimension and embossing paste as snow. 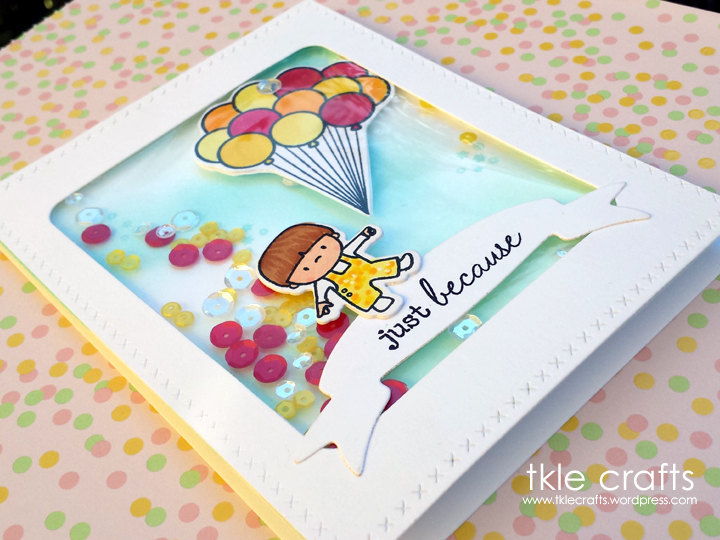 A box of handmade cards is a great idea to give all year round because everyone needs cards for the holidays! Plaid is all the craze right now so it’s perfect that there is plaid washi! And of course, my favorite X-mas goodie for this season are these adorable stamps from Mama Elephant and these adorable sticker Santa Hats. Umm..glitter and bling in one hat? Yes to die for! 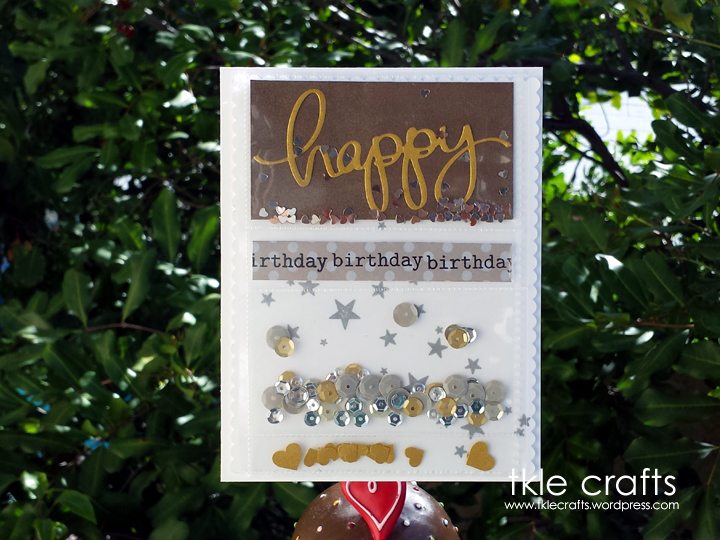 I love how she used the Lawn Fawn Bokeh paper for the tag and added all the little details. Ack! So cute…More cards on route! Just Because It’s Your Birthday! 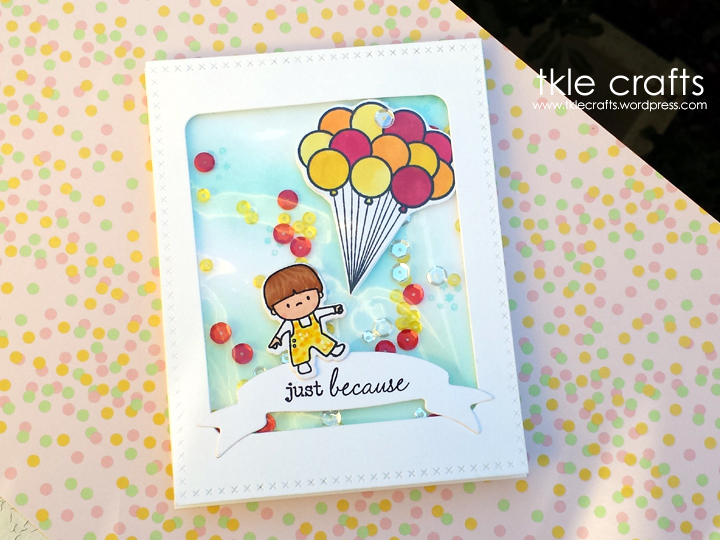 I made this card to look my nephew holding balloons and sending them off for someone’s birthday! I love shaker cards and I can’t wait to order some more sequins from pretty pink posh! Fuse in a little happiness! 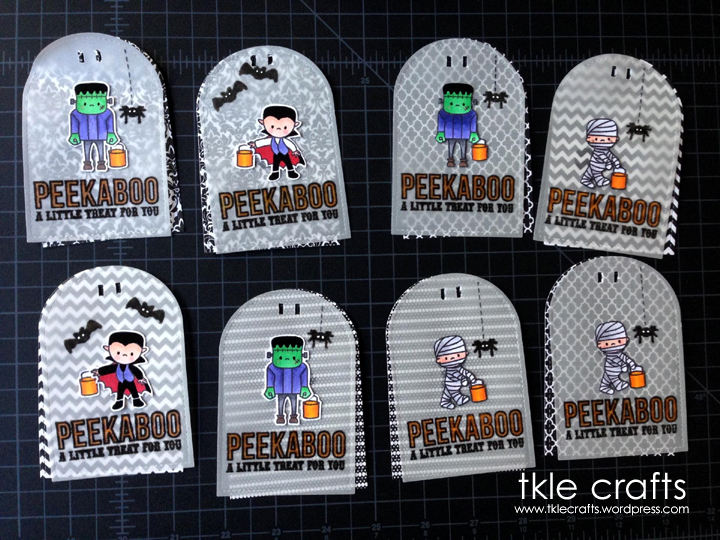 I love how I can make all these mini shaker pockets and fill it with tons of sequins. 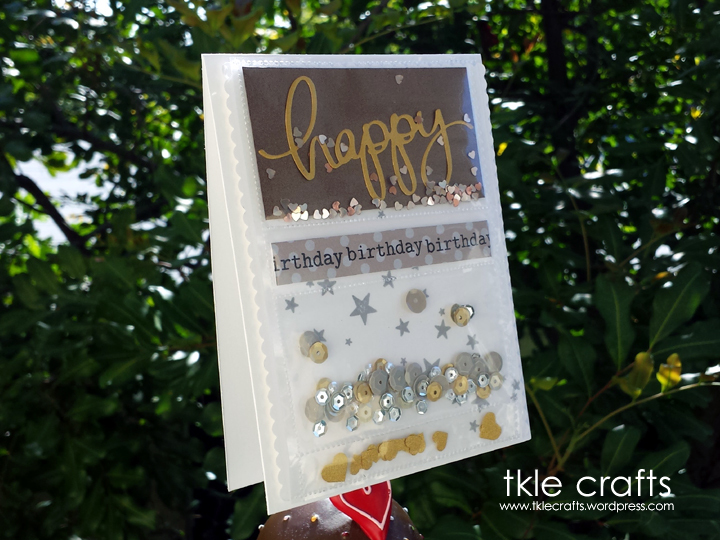 For this birthday card, I started from the bottom up and filled it with the same gold/silver shaker bits. I love how it turned out. 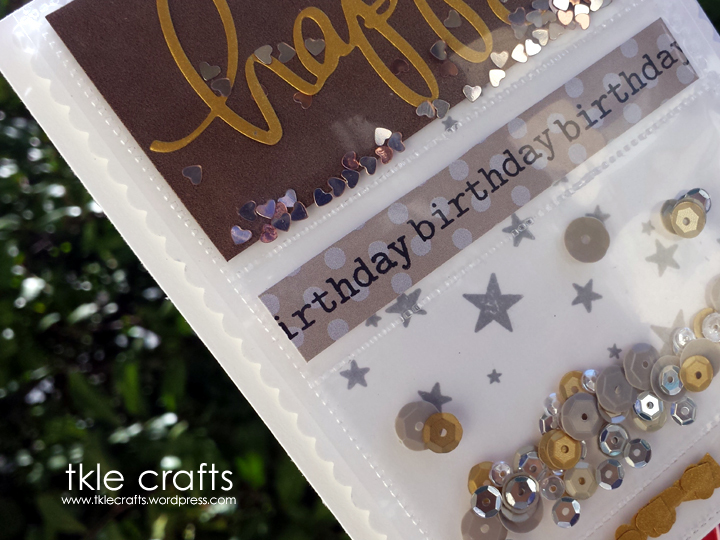 I stamped a few silver stars on the cardstock to give a background for the sequins. My next project will be adding photographs to the pockets for a personalized touch. I always say I won’t give into the new stamping hype but here I am a fan of the fuse tool! Thank you Becky Higgins for making it in white! I almost like it better with less gold foil believe it or not! 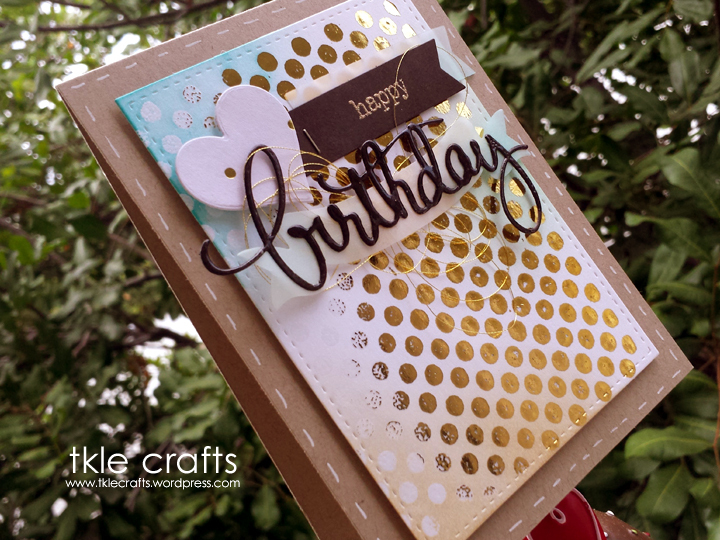 For this card, I added a few more elements including the die cut gold foil heart and banner with a gold staple. I actually used this card for a masculine birthday card and it was well loved by the recipient. More gold foil coming this way! 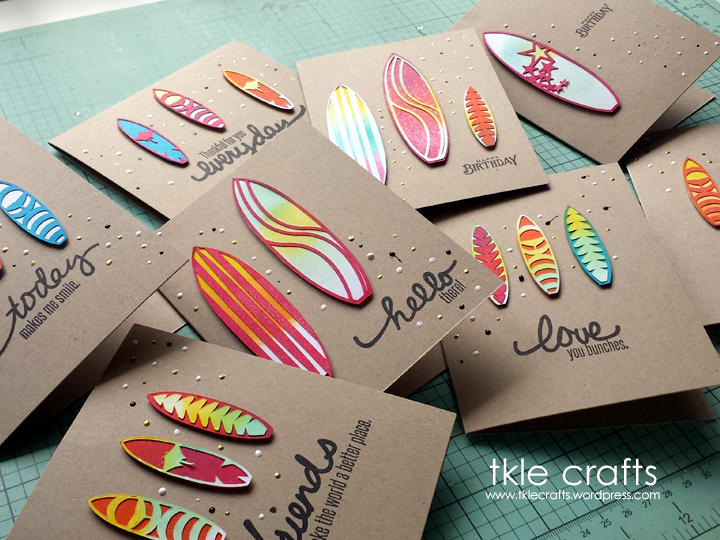 I made these cards for a birthday surfer girl who loves the waves, sand and sun! Oh and she also loves my cards! I cut the surfboard using my awesome, too cool, i love it silhouette cameo. 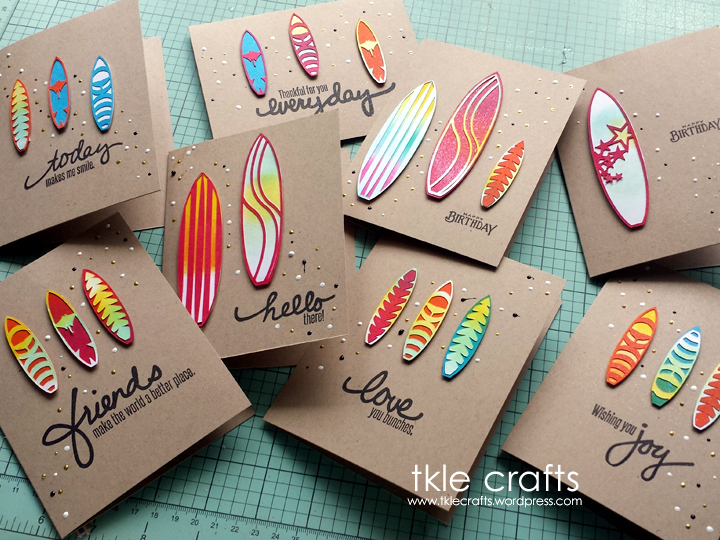 I used distress inks to give the surfboards that fun and vibrant color.